Also known as the coneflower, this flowering plant with its beautiful petals is indigenous to North America. Popular in Europe, it is cultivated throughout the continent. The name is derived from the ancient Greek word for sea urchin, due to the striking spiny leaves at the plant's center. 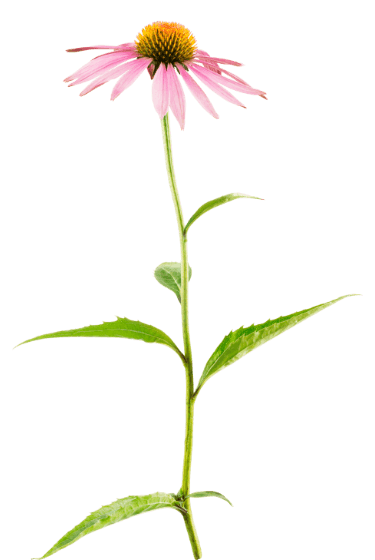 Long ago, the Native Americans discovered and harnessed the healing powers of echinacea. It acts as a disinfectant and strengthens the immune system.